Cancer treatment for pets aims to both improve quality of life and extend it. These days, according to the Australian Veterinary Association, pet owners tend to view their animals as valued, well-loved members of the family, with couples without kids and empty nesters especially prone to elevating them to the role of substitute kids (aka fur babies). Surveys bear this out, with 85 per cent of Australian pet owners confirming that their pets are part of the family. Taking it one step further, in a recent US national survey, 57 per cent of responders reported that if stranded on a desert island and allowed only one companion, they would choose their family pet. As a corollary, owners are now more inclined than ever to explore all avenues prior to euthanising their pets in the advent of serious illness or injury, reserving it as the very last port of call. Correspondingly, there has been a rise in the development of specialist pet services, such as the purpose-built Radiation Oncology Facility at the Small Animal Specialist Hospital (SASH) in North Ryde, NSW, offering revolutionary new services to pets with the aim of improving quality of life, as well as extending it. 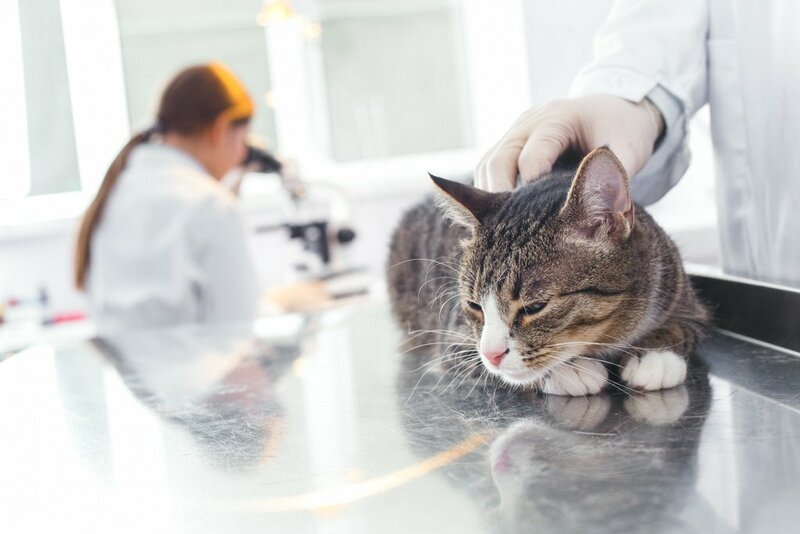 Later, Dr Nguyen seized the opportunity to participate in a summer program at Cornell University, New York, where she met a pet oncologist and realised for the first time that there was a dearth of oncological services for animals in Australia. “I felt that we still didn’t treat cancer very well in our pets,” she says. “I worked in a clinic on the weekends part-time when I was at uni, so I knew that, generally speaking, cancer diagnosis was essentially a death sentence for the patients.” In contrast, her experience at Cornell demonstrated that pets not only coped but responded well to chemotherapy, thus fuelling her desire to be an oncologist and expand the practice of pet oncology in Australia. Not only is the length and quality of life being extended via oncological services, new developments in the area are allowing for different outcomes. In the past, a soft tissue sarcoma on a limb generally led to an amputation, resulting in a cure. But with the advent of specialist radiotherapy services, such as SASH’s Veterinary Linear Accelerator, a sarcoma can be treated with an excision and radiation therapy, with no necessity for amputation—an outstanding outcome, especially for young pets. While SASH has had a dedicated oncology department since 2011, its Veterinary Linear Accelerator—the only one of its kind in Australia—only became available earlier this year. Unlike humans receiving radiation therapy, pets can’t lie still for treatment. Accordingly, when the initial CT scan is undertaken in order to plan the radiation therapy at SASH, the pet is anaesthetised and placed in a bag, from which all of the surrounding air is sucked out, creating a mould of its body. In subsequent radiation treatments, the pet is anaesthetised again and returned to the mould, ensuring they are in precisely the same spot every time. Treatment time is short—a pet will be anaesthetised, treated and awake within 30 minutes. The course of treatment ranges from two doses for bone cancer and pain, up to 20 doses for brain cancers over a four-week period, while palliative care treatment ranges between two and five weeks. While pets may suffer from dermatitis as a result of radiation therapy, it is usually healed within two to four weeks. Also, the fatigue that humans experience as a consequence of radiotherapy is minimal in pets. The cost of radiotherapy treatment at SASH depends on the type of cancer being treated and the outcomes being sought. For instance, a palliative protocol costs in the vicinity of $6500, while a definitive treatment protocol is in the vicinity of $13,000. Pet insurance, depending on the policy, may cover up to 80 per cent of the cost, up to a certain cap, and in Dr Nguyen’s experience, no claim to date for radiotherapy services at SASH has been rejected. While the field of pet oncology can be heartbreaking, Dr Nguyen is heartened knowing that pets tolerate oncological treatment so well, and that it genuinely improves their quality of life.